This article covers the basic features you need to consider before choosing a bird box camera for your birdhouse. One type bird box camera came up at the end of 2016 is the IP based bird box camera. You can check the birdhouse with App on your mobile phone over internet instead only watching them on TV set. You don’t need to wait until your dad’s email, you can enjoy the excited moments with them at the same time. The below are the several key elements to be considered. After that, we will introduce some typical bird box cameras in the market. You have to decide where to watch the bird box. If you just want to watch the bird activities on the TV set. The 700TVL ultra high resolution bird box camera will be enough. Most of the bird box camera is still analog at this moment. Check your TV to make sure it still can accept analog input. Normally it has RCA connector at the rear of the TV for analog input. If you want to monitor the bird box on mobile phone or iPad, it is better to use IP based bird box camera. The IP based bird box camera works exactly like the IP security camera. You can access the bird box camera directly on the mobile phone or PC. There is still one way to watch the analog bird box camera on mobile phone, you will need a DVR box which can convert the analog video to IP. After you link the DVR box to your home network, you will be able to watch the bird box on internet. 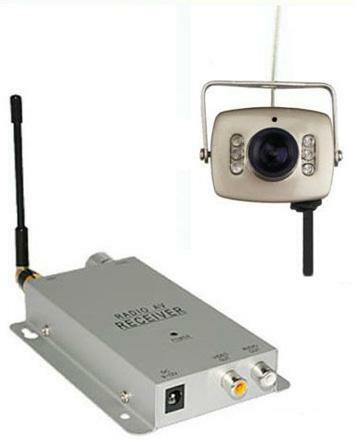 The analog, wireless, PoE IP or WiFi bird box cameras all require external power. Using the built-in battery is not recommended. It could disturb the bird when you open the bird box to change the battery. It is even illegal to touch or move the bird box when there are birds inside. The analog bird box camera can have 30-50 meters far from your TV set. The longer the cable, the more interfaces you will see on the TV. Normally the power will be sent together with the signal. There is where the interfaces come up. The wireless bird box camera normally has receiver working together. It is tricky to setup a wireless bird box camera. You will need to test the camera and receiver before making any permanent setup. The wireless is easy to get the interface even from the broadcast signal in the air. Wireless bird box camera is still analog, both camera need to be cabling back to your TV set. The PoE IP bird box camera can reach 100 meters, however it needs hardwire a network cable to your home router instead of TV set, because the bird box camera need to link to your network. The PoE function allows single cat5e cable to carry both power and network. You only need to maintain one network cable from the router to the bird box camera. The WiFi bird box camera works similar as wireless camera, but it is not easy to get interface, because it is running in digital, not 2.4GHz analog. You just have to make sure WiFi coverage is good enough at the bird box installation place. 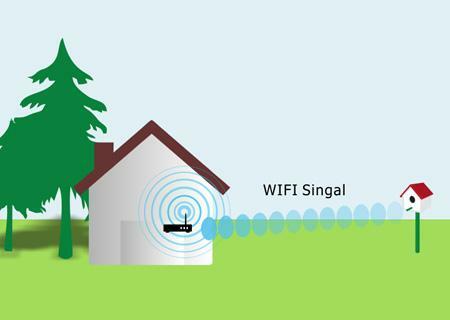 Otherwise you will need to adjust your home WiFI router or add a WiFI extender to boost up the signal. 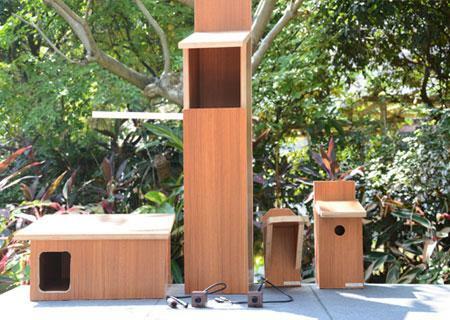 The birdhouse structure could be difference especially the DIY style. You will need to check your bird house and make sure the camera is fit in. The analog camera is normally smaller, 32x32mm. The IP based bird box camera including the WIFI version is bigger up to 42 x 42mm. Except for the size, it always has cable coming out from the birdhouse, like what we mentioned above, all the cameras need power source. You would better to reserve a notch for the cable let-out. 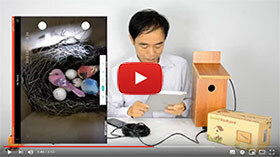 If you don’t want to miss the memory moment such as first eggs laid, you can either choose IP or WiFi bird box camera even analog bird box camera with USB video capture card. Both IP and WIFI bird box camera allow you to view the live on mobile phone directly. The video is already digitized in the camera. The analog based bird box camera require external device such as USB capture card or DVR to be digitized. Also the image quality will be totally different between the IP based bird box camera and the analog after being digitized. The IP based camera can deliver 1280*960 HD quality, but the analog only has 352*288 resolution even lower. After we go over the basic elements, let’s take a look at the different bird box cameras we can pick up in the market. This is the most popular items in 2016. You can find many suppliers from Amazon, even different color. This camera can capture 700TVL image, the audio is included, also 6 LEDs built-in for night vision. The 6 LEDs is more than enough for the birdhouse, because the space of bird house is so small, and most of the light can get reflect black to the camera. Those kinds of cameras need hardwire to your TV. 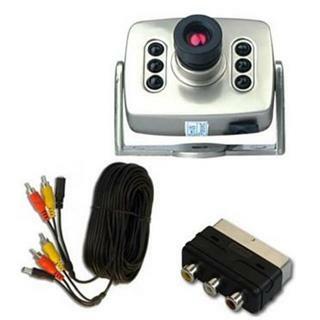 This camera is similar as wire analog bird box camera. Just replace part of cable wiring to wireless. One thing important, you need power for both camera and receiver. The power source could come from your backyard for the bird box camera. The benefit is you may avoid making a hole on the wall of your house. The receiver normally is placed near the windows where it can see the bird box. Then you will need one cable from the receiver to the TV. 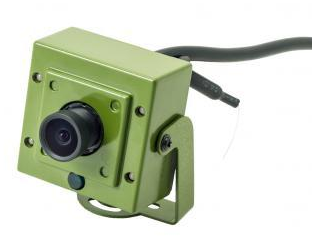 This is the first bird box camera in the market. The camera can deliver 1280×960 high-definition image. 4 units invisible LEDs will light up the bird box at night without disturbing the birds. 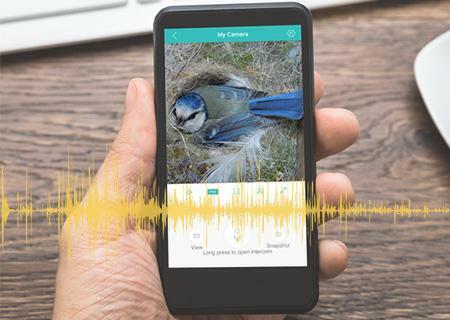 Built-in audio microphone can pick up the chirping inside the birdhouse. The cable needs to return to your switch but not the TV set. The last thing is the size of this camera is bigger than analog version. This is the sister model as PoE bird box camera. The camera will link to your home network thru WiFi. The WiFi connection works the same as your mobile phone. Before making a decision, check the WiFi coverage is good enough around the installation place. You can use your mobile phone to detect your WiFi coverage in the camera installation place. If the signal strength always stays in good level, WiFi bird box camera is ready to go. Otherwise, move the router or reconsider the bird box position. 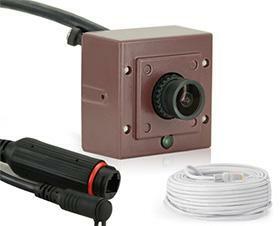 The WiFi bird box camera also requires power input, you can take the power from your backyard. One of the great feature is this items has Marco SD card slot, it supports recording inside the camera up to 128 GB. You will not miss any important moments happened inside your bird box. This article is trying to cover the basic information for bird housing camera. If you have any advises or there is anything entirely wrong, please connect us on facebook. Following this instruction, you can watch the live bird box camera on your mobile phone.